The third round of 5 Albums box sets from reissue label Beggars Archive — collections that have been pitched to fans as “the last chance to present (these) albums as physical releases in the foreseeable future” — will collect full albums, singles and assorted bonus tracks from Bauhaus, Fields of the Nephilim and Gene Loves Jezebel this November. The 5 Albums series launched earlier this year with the release, in the U.K., of new five-disc sets from Love and Rockets, Gary Numan and Natacha Atlas. That was followed up last month with a second round of titles, this time from The Fall, Icicle Works and Buffalo Tom. At least one more set, from The Charlatans, is still expected. 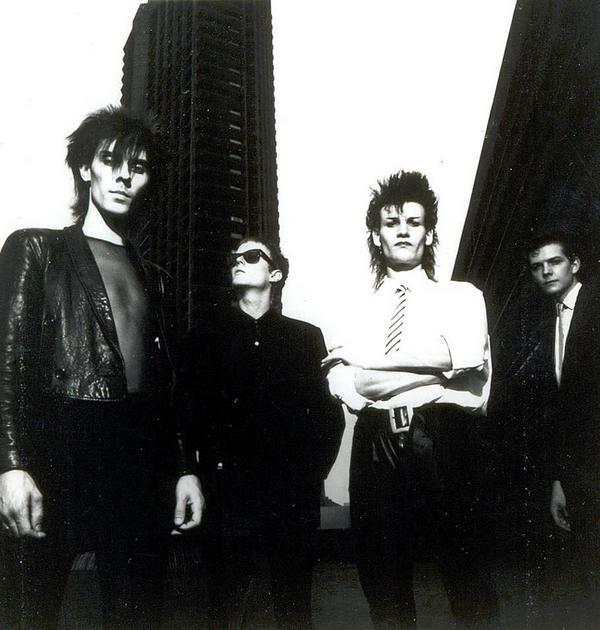 Bauhaus: The 5 Albums box collects the band’s four pre-reunion albums (1980’s In the Flat Field, 1981’s Mask, 1982’s The Sky’s Gone Out, 1983’s Burning From the Inside) plus a 20-track fifth disc featuring singles, mixes and B-sides. In the Flat Field and Mask are the remastered versions used for the Omnibus editions, while The Sky’s Gone Out and Burning From the Inside are newly remastered by Tony Cousins. It’s the first remastering from the original analog tapes since 1988, aside from a few tracks that were remastered for the Crackle best-of. 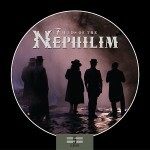 Fields of the Nephilim: The new box set collects the band’s first three studio albums (1987’s Dawnrazor, 1988’s The Nephilim, 1990’s Eliziuim), some of which have bonus tracks, plus the 1991 live album Earth Inferno and a new 13-track collection of singles and remixes. Beggars, on its website, makes no mention of whether the albums are remastered. 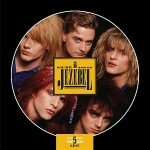 Gene Loves Jezebel: The new set collects the group’s first five studio albums (1983’s Promise, 1985’s Immigrant, 1986’s Discover, 1988’s The House of Dolls, 1990’s Kiss of Life), each with copious bonus tracks, including singles, mixes, demos and more. All told, there are 42 bonus tracks spread across the five discs. But, again, Beggars does not say whether the albums are remastered. The box sets are due out in November in the U.K., but a specific date hasn’t yet been announced. SWEET!!! Am all over the Bauhaus and GLJ sets. And will finally have “Vagabond (A New Adventure)” on CD. Thanks for the heads-up, Matt, and keep ’em coming, Beggars, with a Peter Murphy box set next round! I love Bauhaus, but seriously…. How many more times can Beggars expect us to buy the sane stuff! Why don’t they just finish those (they only did a couple before quitting), instead of re-selling the same old stuff again? Shame there is no “press the eject” i *really* hope that Gotham DVD gets a remaster at some point. I await confirmation of whether neph and GLJ get the remaster treatment. Mat – record companies will be record companies, and will recycle the catalogs at least once every 5 years or so. That said, I’m guessing these sets are aimed more at newcomers than longtime fans, since they’re not really offering anything you don’t already have. Despite no domestic release, they’re actually quite reasonably priced in the Amazon marketplace – 17.99 for the L&R set, which is the same price as a regular CD these days. Worth taking a chance on for the curious who want to dive deeper into an artist’s catalog than a best-of provides. Every album from the Nephilim has been phenomenal- however, the production was never that great and even worse on their best album, Elizium. I would assume they along with every other artist release, will be remastered because it makes a great marketing tool for advertising this and the fans actually get something of value, so everybody wins. Thanks so much for this, all over that Bauhaus. Too bad glj 1993 release, heavenly bodies, isnt included. 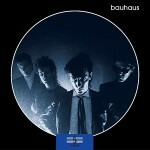 Definitely getting the Bauhaus set, have never really been into the other two bands. Hoping for similar sets by: Peter Murphy and The Cult, and maybe they will start dipping into the 4AD catalogue? Cheers, 5D. Yes, bring on some 4AD love, too, starting with that Lush box set that we are dying for! And I hear you about the Peter Murphy set, too. I thought Cherry Red did a really nice job with the “Should the World…” reissue, so if they don’t continue from there, maybe the Beggars box could start with “Love Hysteria” and continue up to “Cascade,” with a fifth CD loaded with extras. But the debut through “Cascade” with extras on all five discs makes more sense, regardless of the Cherry Red reissue. More great stuff ahead, for sure! Might have to get the Bauhaus collection if what they say is true regarding the remastering of their last two studio releases. Ah, Fields of the Nephilim, even though I liked their genre on whole, I never dug them. The vocals were just too over the top and almost silly. Great instrumentation though. It would be nice to see Boys included, although it is available from certain digital music sites, legit ones. Anyway, I think I’m in on the Bauhaus set, if the price is as good as the others have been. Do you know if this cds are in digipack or normal format with booklet?